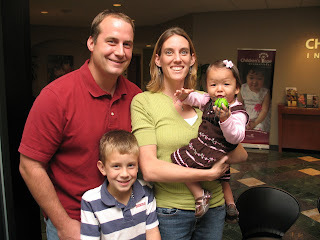 The much awaited flight to China to finalize their adoption, took off for 18 families the last week of May. Five more will board their planes for Beijing in the next two weeks. Meanwhile, there are currently five families in Colombia with one more family leaving the first week of June. Six families have recently traveled to their assigned region of Russia and another seven are leaving soon. There are two families in Vietnam right now and one in Ethiopia but an additional four families travel to Addis Ababa next week. With three more families preparing to travel to Kazakhstan, summer has kicked off with 52 Children’s Hope families on adoption trips. Please do not forget to email your letter of support for the JCICS "A Child's Right Campaign" to Advocate@JCICS.org. You must send your email by tomorrow, May 30, 2008 to be included in the petition to Congress. Visit JCICS's web site for full information at http://www.jcics.org/Vietnam.htm. There are now eight new families in the Ethiopia program who are preparing to travel. All these couples received referrals this week. There was great excitement and many tears as the families received their referrals. Congratulations to them all. The group of eight had seven girls! Ages: four girls were 2 – 2 ½ months-old, one was 9-months-old and two were 2 and 4-years-old. The lone boy in the bunch is 9-months-old. In response to the current state of Vietnam adoptions, Joint Council announced today an initiative: “A Child’s Right Campaign for Vietnam”. With cooperation from all adoptive parents, this campaign can be a success. Anyone can participate – all adopting families, your friends, your family members - anyone can be an advocate for ethical and continuing adoption practices in Vietnam. Visit JCICS's web site for specific instructions on contacting your local state representative. Please read the entire announcement, as it states detailed information, your state's contact information, and specific days to call or email your state representative. When the new Memorandum of Agreement is signed between Vietnam and the US, JCICS recommends families be allowed to work with Hague accredited agencies. Children's Hope International supports this recommendation as we are fully committed to receiving our Hague accreditation. Spread news of this important initiative, vital in the US signing a new agreement for international adoptions with Vietnam prior to September. Zhang said she has seen multi-story buildings that have become piles of rubble. "You just know there are people underneath," she said. "The soldiers are digging like crazy to get them out. "Melody Zhang, Associate Director of Children's Hope, reveals more of the China quake devastation, firsthand, on the front page of this morning's St. Louis Post Dispatch. Children's Hope recorded an interview with Melody last night (Friday morning in China) as she traveled by taxi to meet with CBN volunteers, to regather, and head back out into the destruction with more supplies. Urgent, but working with all of her contacts, Melody is on the move and making the most of every dollar and every resource for children and now orphans on the streets of Miangyang. Listen to the interview here, www.melodyzhangorphans.blogspot.com. On Monday, May 12, Sichuan China and 9 other areas were devastated by the strongest earthquake to hit the region in 32 years. At the epicenter in Wenchuan County, the quake registered at 7.9 on the Richter scale. Over 300 smaller aftershocks have since been reported. At least 12,000 have died and, according to the official Xinhua news agency, another 18,645 people remain buried under debris in Mianyang city, near the quake's epicenter. 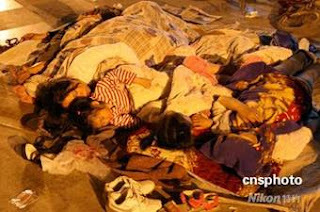 Caption: Children in Chengdu sleep on the street for fear of additional earthquakes. One third of the houses have collapsed within Wenchuan County. The greatest peril now for survivors huddling in makeshift shelters is exposure to the cold and rain. The need of the entire region is for tents, food, and medicine. Children's Hope is collecting funds to help purchase the needed items for the young victims, now in the streets. Our volunteers in Chongqing and Chengdu will be on the front lines delivering the items as soon as they are able. Melody is phoning in updates. Please watch her blog and the Children's Hope Development Aid website as critical information trickles in. For our adopting families: Children's Hope works with three orphanages for international adoption in the surrounding area - Chengdu, Chongqing and Yibin. Our orphanages are doing well. Happy Mother’s Day from Children’s Hope International! Becoming “Mom”: Meet five blogging adoptive mom’s – and their challenges and greatest rewards. Read the entirety of this special Mother’s Day issue, dedicated to all mothers, here. 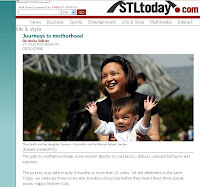 "Journeys to motherhood - The path to motherhood leads some women directly to road blocks, detours, unexpected turns and surprises." 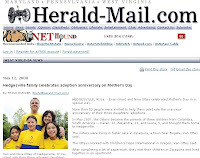 Children's Hope family Thuy and Dave Smith (with their adorable daughter Cameron) were featured on the front cover of the Lifestyle section for Mother's Day in the St. Louis Post Dispatch. Read more, here (updated link). Many of our Children's Hope families are celebrating this Mother's Day, as their first with their newly adopted children. Adrienne and Jim Fleming are tomorrow, with their son Owen. 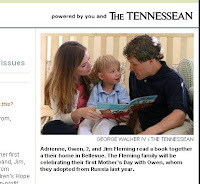 The Tennessean is celebrating motherhood and the growth a child can receive through a mother's love, here. "Evan and Nina Ottey celebrated Mother’s Day in a special way, with more than 50 people invited to help celebrate the one-year anniversary of their three daughters’ adoptions. In May 2007, the Otteys became the parents of three children from Colombia, South America — Karen, 12, Alejandra, 11, and Laura, 9, and brought them home to Hedgesville! Read their article in the Herald, here. Today is your day! We celebrate all mothers this weekend for giving of their loving nature, delicate words, and daily inspiration. You are someone's #1 mom! Congratulations! "Journey from the Fall" is a story of a Vietnamese boat family and their struggle to escape to the US after the war. It is a beautifully done movie on every level; the characters, the settings, and the story have amazing authenticity. You can sense the true optimistic and beautiful spirit of the Vietnamese people. While the story line is certainly too mature for young children, you might want to stash away a copy for when your child is old enough to be curious about his or her culture. It is a great movie for anyone trying to learn about Vietnam, and especially the life of Vietnamese Americans here. My husband is a Vietnamese boat person, and we were both awestruck by the poignancy and tenderness of the movie, but mostly we were extremely grateful that someone has take the time to tell this important story so well. "August Rush" was given to me by a family member, otherwise I probably would have avoided it just from the preview. In addition to being a over-the-top gushy and quite poorly done movie, the theme I felt was inappropriate and potentially harmful for adopted kids. The story is of a boy who is raised in a boys' orphanage (in 1995 New York, if you can believe it) who finds his birth parents through his supernatural ability to "feel them talk to him" through music. Somehow both his birth mom and dad never even know he exists, but feel drawn to him until they all end up happily ever after standing in Central Park one day. While I know that fantasies about birth families are normal and healthy and certainly to be expected, I fear that this movie goes a bit far in encouraging an unhealthy obsession. No messages about finding security and love through anything resembling the adoptive family are found here, and the only character that even resembles an adoptive father is a psychopathic control freak. While I'm sure for most families this might be just another movie, as an adoptive mom, I will chose movies with more positive adoption themes. "Juno" is a very popular new movie out, certainly a surprise box office hit. It tells the story of a high school girl's unplanned pregnancy, her choice to keep her child, and her search to find her baby an adoptive home. This is obviously a domestic adoption, so very different from our experiences in Vietnam. But, a touching and hopeful story of adoption. I didn't like everything about it, but as adoption themed movies go, it was worth seeing. Apples are From Kazakhstan, the American edition of In Search of Kazakhstan: The Land That Disappeared launched this week in the United States. The travelogue, written by journalist and author Christopher Robbins, was noted in this week's Kazakhstan News Bulletin issued by the Kazakhstan Embassy. Families soon to travel to Kazakhstan to complete their international adoption may be more culturally prepared through this book's reading. Closed to foreigners under Tsar and Soviet rule, Kazakhstan has remained largely hidden from the world, a remarkable feat for a country the size of Western Europe. Few would guess that Kazakhstan—a blank in Westerners' collective geography—turns out to be diverse, tolerant, and surprisingly modern, the country that gave the world apples, trousers, and even, perhaps, King Arthur. Christopher Robbins enjoyed unprecedented access to the Kazakh president while crafting this travelogue, and he relates a story by turns hilarious and grim. He finds Eminem-worship by a shrinking Aral Sea, hears the Kazakh John Lennon play in a dusty desert town, joins nomads hunting eagles, eats boiled sheep's head (a delicacy), and explores some of the most beautiful, unspoiled places on earth. Observant and culturally attuned, Robbins is a master stylist in the tradition of travel writing as literature, a companion to V. S. Naipaul and Paul Theroux. Robbins's travelogue enthusiastically and infectiously blends history, observation and mini biographies… A captivating read notable for off-the-cuff candor and measured, eloquent prose. • The Arps--AZ Colombia DOT 5/24/08 (Waiting) – Travel Soon! • The Carters--AZ China DOT 5/30/08 (Waiting) – Travel Soon! • The Canestraros--OH Russia T1 DOT 5/16/08 (Waiting) - Travel Soon! In Celebration of National Volunteer Appreciation Week! Children’s Hope International is blessed with very generous, loving families who give of their time, talents, heart and self through volunteering to bring hope to orphans around the world. During National Volunteer Week (April 27 - May 3) we get a chance to thank them! Being a member of CHAPs (Children’s Hope Associate Partners) is one way our families give back. Our CHAPs program is now over 300 families strong, in 45 states across the country! Our volunteers act as reference families for Children’s Hope, sharing their adoption story and experience with people in their state. They are a welcome local source of support to those making the decision for international adoption. Our volunteers also attend Children’s Hope adoption information meetings, greeting families with their wonderful stories of adoption, and their beautiful children! Many have met individually with couples and singles to share their story over coffee. Our volunteers have drawn on their creative talents to create library displays as well, and some have attended adoption fairs representing Children’s Hope. Another group of volunteers hosts CHAPs adoption information meetings. This dynamic and dedicated group hosted a total of 52 meetings in 2007, with over 300 people attending. What better way to learn of the care and commitment a family will receive in the hands of Children’s Hope than through a family that has already experienced it? The draw of a CHAPs meeting is just that - the ability to meet a local adoptive family and their children who have "been there, done that" successfully. And the impact is huge! This past year, we have had 31 families come to Children’s Hope to adopt after attending a CHAPs meeting. Thirty one children will have the special gift of a forever family because of your efforts! We have many, many unsung heroes, and this is my way of saying “Thank You” for your heart and dedication! Hats off to you, our CHAPs volunteers, who are making a real difference in the lives of others, by making the dream of a family a reality for both families and children. You are truly a blessing to Children’s Hope in our mission to bring Hope to Children…Keep up the good work! Children's Hope International's Orphan Ministries was created to be a bridge between churches and the 143 million orphans around the world. We are honored to say "Thank You!" to the 297 families across the country who created an Orphan Ministry in their church and community. One hundred and forty orphans received a holiday gift, 27 orphan and street children of India are now clothed, 18 China orphans received foster care, 1200 lunches were served to Colombia orphans, 4 AIDS orphans received counseling, and 16 Kazakhstan orphans received medical care. Those are just a few of the big numbers. 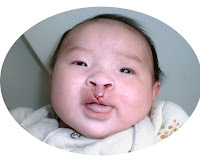 One Chinese orphan received a life changing cleft lip/palate surgery. This one child does not think this is a small thing. Through National Adoption Month, over 50 meetings, displays, tables, car washes, talks, dinner parties, and concerts took place across the country! Through these programs, orphans are now going to school and experiencing warm lunches, needed surgery, fresh water, and the feeling of love. 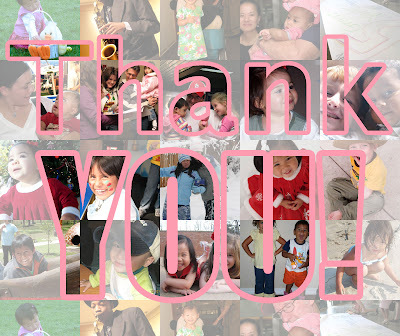 A heartfelt thank you to all of our amazing volunteers! To become a part of building a bridge to those children who are hurting overseas, click here.